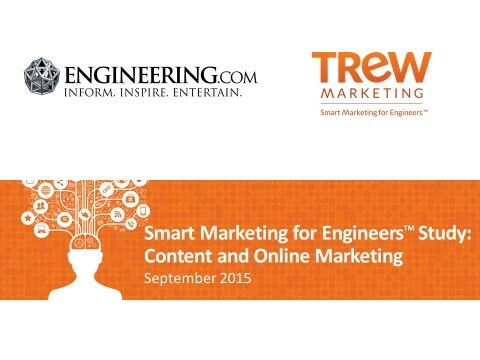 ENGINEERING.com and TREW Marketing's 2015 survey to 580 engineers to understand how engineers engage with online marketing and content marketing. This research report surveyed 580 engineers to provide conclusive, actionable data for marketers to effectively implment online and content marketing campaigns to target engineering audiences. How do engineers behave online, and how should marketers approach them? How do engineers behave in traditional marketing channels?